Flatterers are the worst kind of traitors; for they will strengthen thy imperfections, encourage thee in all evils, correct thee in nothing; but so shadow and paint all thy vices and follies, as thou shalt never, by their will, discern evil from good, or vice from virtue. 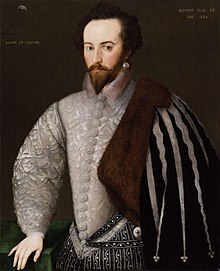 Sir Walter Raleigh (c. 1552 or 1554 – 29 October 1618) is famed as a writer, poet, spy, and explorer. 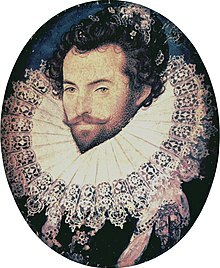 Note that many alternate spellings of his surname exist, including Rawley, Ralegh, and Rawleigh; although "Raleigh" appears most commonly today, he himself used that spelling only once. His most consistent preference was for "Ralegh". Every fool knoweth that hatreds are the cinders of affection. Say to the court, it glows. Then give them both the lie. No stab the soul can kill. [History] hath triumphed over time, which besides it nothing but eternity hath triumphed over. O eloquent, just, and mighty Death! whom none could advise, thou hast persuaded; what none hath dared, thou hast done; and whom all the world hath flattered, thou only hast cast out of the world and despised; thou hast drawn together all the far-stretched greatness, all the pride, cruelty, and ambition of man, and covered it all over with these two narrow words, Hic jacet [Here lies]! For whosoever commands the sea commands the trade; whosoever commands the trade of the world commands the riches of the world, and consequently the world itself. The shallow murmur, but the deep are dumb"
and titled The Silent Lover. Compare: "Altissima quæque flumina minimo sono labi", (translated: "The deepest rivers flow with the least sound"), Q. Curtius, vii. 4. 13. "Smooth runs the water where the brook is deep", William Shakespeare, 2 Henry VI. act iii. sc. i.
I may, although I care not, for pleasure when I play not. Methought I saw the grave where Laura lay. Verses to Edmund Spenser, reported in Bartlett's Familiar Quotations, 10th ed. (1919); Comparable to: "Methought I saw my late espoused saint", John Milton, Sonnet xxiii, and "Methought I saw the footsteps of a throne", William Wordsworth, Sonnet. His Own Epitaph, written the night before his execution (1618) and found in his Bible in the Gate-house at Westminster; reported in Bartlett's Familiar Quotations, 10th ed. (1919). On a rock or in a cell? Poem reported in Bartlett's Familiar Quotations, 10th ed. (1919). Poem reported in Bartlett's Familiar Quotations, 10th ed. (1919). Compare: "If she be not so to me, / What care I how fair she be? ", George Wither, The Shepherd's Resolution. Poem written in a glass window obvious to the Queen's eye, reported in Bartlett's Familiar Quotations, 10th ed. (1919). "Her Majesty, either espying or being shown it, did under-write, 'If thy heart fails thee, climb not at all'", Thomas Fuller, Worthies of England, vol. i. p. 419. Bestow therefore thy youth so, that thou mayest have comfort to remember it when it hath forsaken thee, and not sigh and grieve at the account thereof. Better were it to be unborn than ill-bred. Remember...that if thou marry for beauty, thou bindest thyself all thy life for that which perchance will never last nor please thee one year; and when thou hast it, it will be to thee of no price at all, for the desire dieth when it is attained, and the affection perisheth when it is satisfied. Take care that thou be not made a fool by flatterers, for even the wisest men are abused by these. Know, therefore, that flatterers are the worst kind of traitors; for they will strengthen thy imperfections, encourage thee in all evils, correct thee in nothing; but so shadow and paint all thy vices and follies, as thou shalt never, by their will, discern evil from good, or vice from virtue. And, because all men are apt to flatter themselves, to entertain the additions of other men's praises is most perilous. Do not therefore praise thyself, except thou wilt be counted a vain-glorious fool; neither take delight in the praises of other men, except thou deserve it, and receive it from such as are worthy and honest, and will withal warn thee of thy faults; for flatterers have never any virtue — they are ever base, creeping, cowardly persons. A flatterer is said to be a beast that biteth smiling: it is said by Isaiah in this manner — "My people, they that praise thee, seduce thee, and disorder the paths of thy feet;" and David desired God to cut out the tongue of a flatterer. But it is hard to know them from friends, they are so obsequious and full of protestations; for as a wolf resembles a dog, so doth a flatterer a friend. A flatterer is compared to an ape, who, because she cannot defend the house like a dog, labour as an ox, or bear burdens as a horse, doth therefore yet play tricks and provoke laughter. Thou mayest be sure, that he that will in private tell thee thy faults is thy friend; for he adventures thy mislike, and doth hazard thy hatred; for there are few men that can endure it, every man for the most part delighting in self-praise, which is one of the most universal follies which bewitcheth mankind. Speaking much also is a sign of vanity; for he that is lavish in words is a niggard in deeds. Be advised what thou dost discourse of, and what thou maintainest whether touching religion, state, or vanity; for if thou err in the first, thou shalt be accounted profane; if in the second, dangerous; if in the third, indiscreet and foolish. There is nothing exempt from the peril of mutation. It is the nature of men, having escaped one extreme, which by force they were constrained long to endure, to run headlong into the other extreme, forgetting that virtue doth always consist in the mean. All, or the greatest part of men that have aspired to riches or power, have attained thereunto either by force or fraud, and what they have by craft or cruelty gained, to cover the foulness of their fact, they call purchase, as a name more honest. Howsoever, he that for want of will or wit useth not those means, must rest in servitude and poverty. He that doth not as other men do, but endeavoureth that which ought to be done, shall thereby rather incur peril than preservation; for whoso laboureth to be sincerely perfect and good shall necessarily perish, living among men that are generally evil. Historians desiring to write the actions of men, ought to set down the simple truth, and not say anything for love or hatred; also to choose such an opportunity for writing as it may be lawful to think what they will, and write what they think, which is a rare happiness of the time. Whoso taketh in hand to govern a multitude, either by way of liberty or principality, and cannot assure himself of those persons that are enemies to that enterprise, doth frame a state of short perseverance. Whoso desireth to govern well and securely, it behoveth him to have a vigilant eye to the proceedings of great princes, and to consider seriously of their designs. War begets quiet, quiet idleness, idleness disorder, disorder ruin; likewise ruin order, order virtue, virtue glory and good fortune. where we are dressed for this short comedy. that sits and marks still who doth act amiss. only we die in earnest—that's no jest. only we die in earnest, that's no jest. According to Thomas Fuller's History of the Worthies of England vol. 1 (1662), p. 4, this was written by Raleigh on a window-pane, prompting Elizabeth I to add "If thy heart fails thee, climb not at all". The world itself is but a larger prison, out of which some are daily selected for execution. So the heart be right, it is no matter which way the head lies. Stebbing's Sir Walter Raleigh, chapter 30, gives these as Raleigh's words on being asked by the executioner which way he wanted to lay his head on the block. What dependence can I have on the alleged events of ancient history, when I find such difficulty in ascertaining the truth regarding a matter that has taken place only a few minutes ago, and almost in my own presence! Upon receiving discrepant accounts from the participants in a recent quarrel below his window. "A Farewell to the Vanities of the World", lines 3–7. Author uncertain. Attributed to Henry Wotton and to Raleigh. Why dost thou not strike? Strike, man! Die because a woman's fair? George Wither, "The Lover's Resolution".